Home > AMT Blog > Experience The Price is Right Live™ October 15! Experience The Price is Right Live™ October 15! You’d be hard-pressed to find anyone who doesn’t know The Price is Right. Who can resist the sheer excitement when someone from the crowd gets to “Come on Down”? The rush of emotion is palpable, even through a screen. Now is your chance to experience the hit interactive show in person! 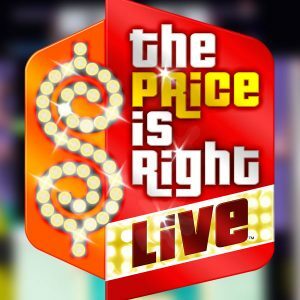 The Price Is Right Live!™ is a staged production based on the TV game show you know and love. And, it’s coming to the AMT stage for one performance – Sunday, October 15 at 3:00 p.m.
Don’t miss your chance to become part of one of the biggest game shows in the world. You can even register for a chance to be a contestant! Contestants will be selected entirely at random from all the eligible people who have registered, but you have to register if you want a chance to play. This staged production is based on the television’s longest running and most popular game show. The Price Is Right Live!™ has played to sold-out audiences for over ten years. It’s given away more than 10 million dollars in cash and prizes and sold more than 1.2 million tickets. Prizes range anywhere from appliances to vacations, and could even include a new car! You’ll see classic games like Plinko™, Cliffhangers™, The Big Wheel™, and more, including the fabulous Showcase. It’s the perfect family entertainment experience with excitement for all ages. It’s the show where the next contestant just might be you! If you like how exciting the show can be on TV, make sure you experience it live! “Come on Down” and reserve your tickets today!